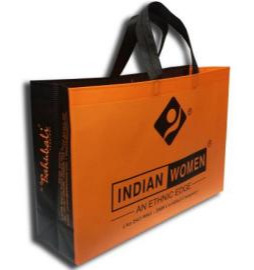 Popular Industries is a specialist in high demand manufacturing of ECO FRIENDLY NONWOVEN BAGS. High volume, pan-India distribution with the highest quality standards and razor-sharp deadlines are our forte. We position ourselves at the confluence of ‘innovation’ and ‘cost-effective manufacturing’ to redefine the fundamentals of packaging industry. We are the best nonwoven bag manufacturing company in India. We brag about our accomplishments because of our ever growing and satisfied clientele. Our passion is to design and manufacture carry bags that leave an impression. Faith, Honesty & Transparency - the three pillars upon which our company stands.